Mike has been a commissioner since November 5, 2012 and has been a resident of Pend Oreille County since 1985. Mike was born and raised in Bonners Ferry, Idaho and graduated from Bonners Ferry High School. Mike worked at Safeway during high school and continued his Safeway employment after attending the University of Idaho. Mike joined the Army National Guard in 1972. Mike was promoted to Safeway Store Manager in 1977 and managed numerous stores including the store in Newport from 1985 to 2003 when he retired. He is married to his lovely wife Kim, has 3 beautiful daughters (Jenny, Kimberly and Val), and numerous grandchildren and great grandchildren. Mike is a past President of Newport Chamber of Commerce and has served on many boards throughout his life. 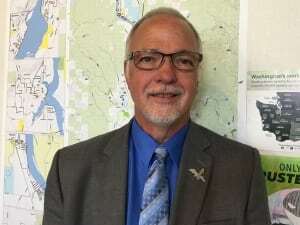 Mike’s current capacity includes serving on Pend Oreille Health Coalition, Pend Oreille County Economic Development Council, Better Health Together Leadership Council, Tri County Economic Development District, and the Emergency Medical Services Board.